Polarizing sensors are an innovative new technology with major productivity potential. 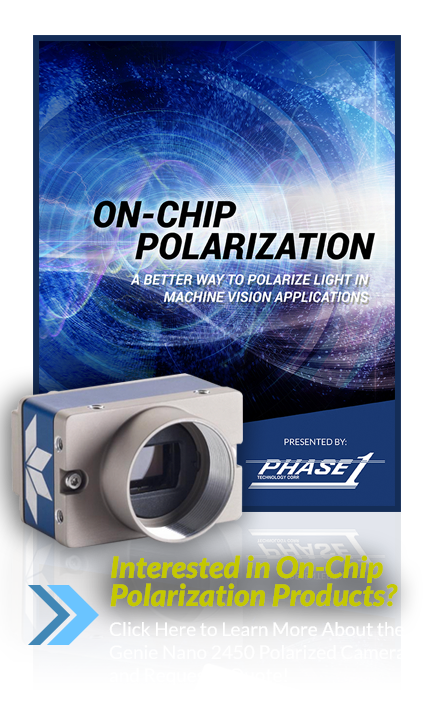 Using machine vision filters has historically been an unproductive and imprecise method of polarization. New on-chip polarizing sensors enable simple, accurate filtering of several angles of light, creating entirely new applications in machine vision that were previously impossible. Learn about the one of the most innovative new technologies in machine vision and how it could bring productivity to your daily operations.